Apps to automate your business operations. Run a better business today. 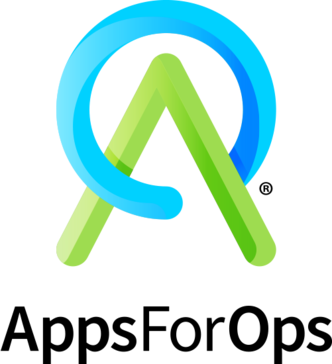 AppsForOps Timeline is a game changing Customer Success software platform. 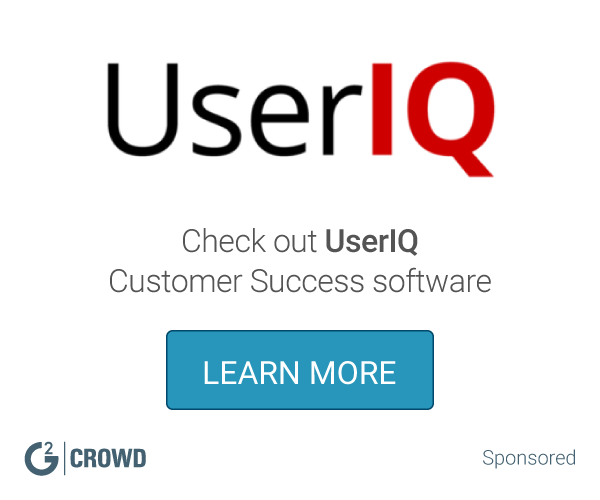 Customer Success - powered by being in the know. It provides next level visibility on customer activity spanning your organization's people, processes and systems. It allows you to easily see the whole picture and act on what matters most. "What an amazing customer success tool"
I have all the information about my customers and their interactions with my organisation in one place with information coming from almost any/all of the company systems. I can see activities involving my team, the company ranging from emails exchanged to closed opportunities in the CRM system to invoices sent from the finance system. All in a neatly laid out timeline view - Its my go to app for anything customer related. Its an Outlook add-in. Wish they had a mobile app. The age old problem of letting consulting resource know what was communicated to customers during the presales cycle has disappeared. Consultants just type a customer company name or contact name into AppsForOps search bar and they can see all emails, purchases, support tickets or links to any supporting documents. They even see a customer health indicator. "Expenses finally on time "
Have never been great with submitting my expenses on time. With the apps for Ops expenses application I'm able to capture the expense claims as they happen. There is also the quick clicks which allows me to auto categorise common expenses 4 easy capture. . The timeline application is also one of my favourite, especially just before I walk into a client meeting. Not too much to dislike, an application like this just helps things get better. Improved cash flow due to submitting expenses on time. Happier wife due to better cash flow. Highly improved confidence when meeting with customers due to the fact that using timeline I know exactly what their health status is like and what the last communication with them was regarding no matter where across the organisation. Logging expense claims whilst being a remote location is now painless and simple using a mobile phone. The ability to see your schedule and log your timesheet has been simplified to sn extreme level using mobile app and webpages. Good bye spreadsheets!! New features are always being added. Very innovated driven. Some very limited things (mainly schedule) are better presented in a computer browser versus using the webpage on a mobile phone device. This cant be helped as its the way technology its on a mobile. Significant time saving on claming expenses, requesting time off and checking the resource schedule particularly being in a remote location. Easy to use so no training involved. Project scheduling and tracking is also easy to do accomplish. "Easy to use and highly engaging." The addition of the AppsForOps Timeline has made managing my client communication a breeze. Keeps me winning the daily email war! Great product that integrates with a vast array of top SaaS providers. The product has great capabilities for the reasons mentioned above. One necessary feature to make it even more useful would be integration to Dropbox, One Drive or Google Drive to seamlessly upload receipts or documents relating to expense claims or invoices. The current image attachments isn't the easiest to use. Get on it! The best work related tool that has everything from employee collaboration to customer success! Keeping my work related expenses up to date, managing time sheets, keeping my work schedule updated and team communications are all done through AppsForOps. There are many parts of AppsForOps and it feels like I'd be doing it an injustice just mentioning my favourite part. One of the really cool features of AppsForOps, is the Address Book feature. I can easily get hold of my colleagues in a fix, even though I don't have their phone numbers stored on my phone. Another cool feature is the schedule. It is useful to look at my schedule and see where I will be next week. I really haven't come across anything that I dislike in AppsForOps. AppsForOps takes the pain out of doing timesheets and expense claims, which leaves me more time to get on with my actual work. "All my regular work processes in one place"
Whether it is submitting my timesheet, asking for time off or checking my schedule it is all available in easily accessible place - either on my desktop or on my mobile. "How AppsForOps is changing the way we do business"
The best part is that it has revolutionised how we do business. As a team and as a company. It's been invaluable. I enjoy the whole offering. There is not much I could contribute in terms of finding anything that I dislike about it. As a consultant, we all work remotely most of the time, so it is great to be able to keep up-to-date with changes that get rolled out and update the relevant information when working with our clients. The best thing about timeline is that I no longer need to be CC'ed on all emails to have access to them. This clears up my mailbox so that the only emails I receive, are ones I actually need to see! Clearing up my mailbox, and allowing me to quickly gauge what's happening at different customers. Everything is in one place, from time-sheets to leave and expenses. The mobile app makes for an added convenience when you are away from your desk. It would be nice to be able to import the contacts from the directory into a mail client or mobile phone. All the bit that helps me with my day to day stuff. Time sheets, Leave and Expense requests is so much easier. The mobile version needs to do a bit of catching up with the web version. Collaboration challenges, Time sheet, Expense claims and Leave requests. * We monitor all AppsForOps reviews to prevent fraudulent reviews and keep review quality high. We do not post reviews by company employees or direct competitors. Validated reviews require the user to submit a screenshot of the product containing their user ID, in order to verify a user is an actual user of the product. Hi there! Are you looking to implement a solution like AppsForOps?